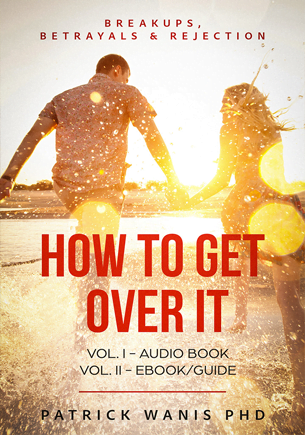 Due to repeated requests, this MP3 audio book is now sold together with Volume II an eBook and workbook. Volume II contains additional information and insights not included in Volume I the audio book. 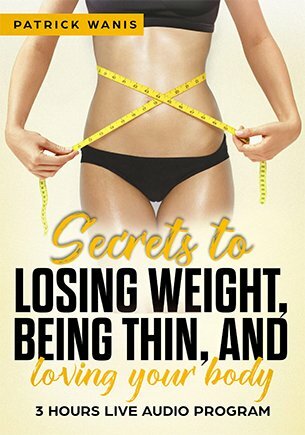 Volume II is also a workbook with unique exercises and techniques created by Patrick Wanis to help you get over it – fast! Hello, this is Patrick Wanis. The greatest joy and happiness we will ever receive in our life will come from our relationships with other human beings. Our greatest pain and disappointment will also come from our relationships. Every one of us has experienced some pain or hurt in our life as a result of a relationship or a friendship. We were betrayed, rejected or dumped. Maybe your boyfriend or girlfriend woke up one morning and said, “I don’t love you anymore” or “I think we should just be friends”, “I have found someone else”, “I have been having an affair”, “we are just not suited.” Or maybe he or she just packed her bags and disappeared, moved to another city, state or country. Or maybe you broke off the relationship because you couldn’t stand being treated so poorly, you couldn’t stand the pain, the hurt or betrayal. Either way the pain and loss can be almost devastating, particularly if we had future plans with this person that have now been shattered, or if our identity and self-worth was tied to this person. And so, now we find ourselves filled with anger, resentment, or bitterness. We are broken-hearted, have lost all of our confidence, we feel life is hopeless, and we have almost no self-esteem. Maybe we can’t sleep, we overeat, and we obsess, or every time we think of that person we cry or feel sick in the stomach, become angry or depressed. Maybe as a result of that pain and hurt we have isolated ourselves and can no longer trust others or get close to people. Our friends tell us “Just get over it” but yet again we have no idea how to do that. What does it mean to get over it? How do we let go of the past and all the pain and emotional injury? How do we forgive the person who has cheated on us, betrayed us or done some other wrong to us? How do we set ourselves free so we can love and trust another person? How do we reclaim our power? How do we find once again, self-confidence, love, joy and happiness? How do we regain our self-worth and self-esteem? How do we get over it? 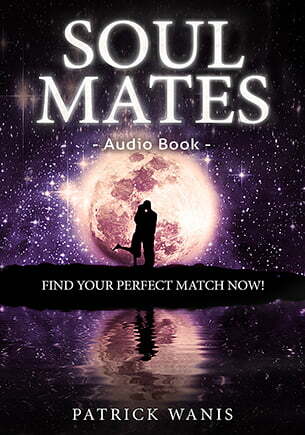 In this audio book, I will answer all these questions and give you the keys to finding love and happiness once again. 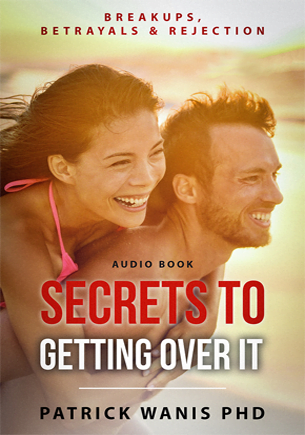 Volume II –the eBook is also a workbook with unique exercises and techniques to help you get over your ex – fast! Is love an internal or external state? 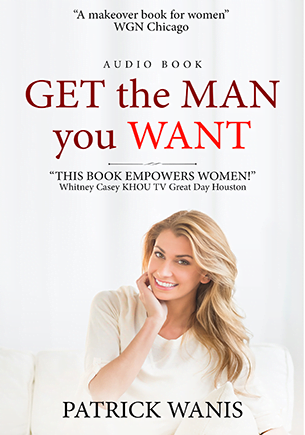 Patrick Wanis also offers a comprehensive package of 4 products, including a hypnosis audio program and extra audio book to help you Get Over Your Ex Now!